The Loan to Value (LTV) ratio is an important measurement of risk in a trust deed investment. The LTV ratio compares the loan amount to the value of the real estate securing the loan. Generally, the risk of a trust deed investment declines as the LTV ratio declines. How to calculate the Loan to Value Ratio? To calculate the LTV ratio, divide the loan amount by the total value of the real estate securing the loan. For example, if the loan amount is $50,000 and the value of the property securing the loan is $100,000, the loan to value ratio would be 50%. Why is the Loan to Value Ratio Important? The LTV ratio is crucial to the underwriting process because it measures the amount of equity protecting the loan. Generally, Borrowers with more equity in a property are less likely to default than borrowers with less equity. Further, a trust deed with a lower LTV ratio are better protected should property values decline, or during a foreclosure, the accrual of unpaid property taxes, loan payments, and other costs associated with a foreclosure. 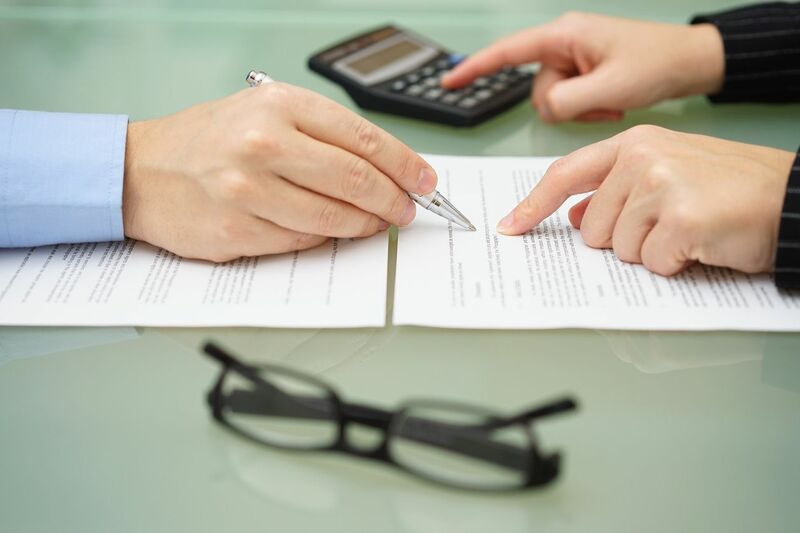 How Should I Apply the LTV to a Trust Deed Investment? Many trust deed investors cap their trust deeds at 65% to 70% of the property value when using residential single family and multi-family property as collateral. When using commercial, retail, or industrial property as collateral, trust deed investors typically cap their loan at 55% to 60% of property value. With land, trust deeds are capped at 50% of value. Note, these ratios are simply suggestions and trust deed investors should consider other factors such as borrower credit, property condition, property location, and the Borrower’s repayment strategy when calculating their maximum loan amount. What are the variants of the Loan to Value? Loan to “Current” Value. The Loan to “Current” Value ratio is the most commonly used calculation. This calculation assumes the property’s current value when compared with the loan amount. Loan to “After Repair” Value. The Loan to After Repair Value ratio is used when the Borrower intends to improve the property. This calculation is common with Fix & Flip and Construction loans. In these circumstances, the LTV ratio considers the finished value of the property, rather than the current value. It is important to note, when using Loan to “After Repair” Value, the Lender should hold back funds at close until the improvements have been completed. Should the Borrower default prior to or during the improvement process, the funds held back at close should be sufficient to offset the cost to complete the improvements. Combined Loan to Value. When the loan is secured by multiple properties or the loan is in a junior position, the “Combined Loan to Value ratio” (CLTV) is used. The CLTV considers the value of all properties securing the loan and/or all loans secured by the property. To calculate the CLTV ratio on a multiple property loan, also referred to as cross-collateralized loan, the loan amount would be divided by the total sum of each property’s value. For example, a Borrower seeking $500,000 pledges two properties. Property A has a current value of $350,000 and Property B has a current value of $450,000. The most common mistake when calculating the loan to value ratio is over estimating the value of the real estate securing the loan. When investing in trust deeds, it is best to consider the market value of the property based upon its current use or condition. Using ARV to calculate the LTV is an option but should be considered carefully. Lenders using ARV must consider the current value, accurately value the property as improved, and manage the construction draw disbursements to ensure the Borrower completes the work. Another common mistake is the failure to consider a property with existing trust deeds. A $50,000 loan secured by a property valued at $100,000 may appear to have a 50% LTV ratio, but an existing 1st trust deed of $50,000 would make a CLTV ratio of 100%. The result would be a 2nd trust deed with no borrower equity. Lastly, Lenders must be careful not to invest in a trust deed that has too high of an LTV ratio. In this scenario, a slight drop in the market value may jeopardize the security of the loan. Or, in the case of a foreclosure, the accrual of unpaid interest, property taxes, and other fees combined with the principal balance of the loan may exceed the current value of the property. A good rule when investing in trust deeds, do not risk a higher LTV ratio to obtain a higher yield. Investing in trust deeds is an excellent investment strategy to earn consistent monthly income. However, investing in trust deeds can be risky and investors should use basic underwriting techniques to manage risk. Using the LTV ratio as a factor in assessing a trust deed investment is a great way to underwrite the risk. To learn more about investing in trust deeds for cashflow and why trust deed investing appeals to so many investors please read, Investing in Trust Deeds for Cashflow.